Welcome to this week's challenge at Christmas Card Challenges. 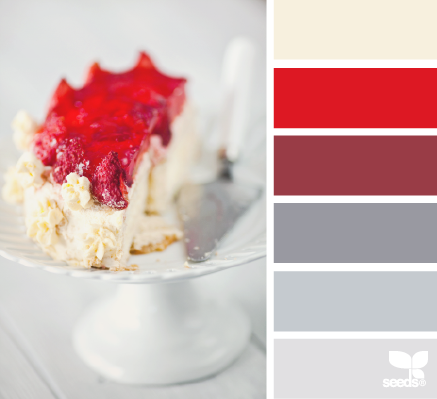 This week we have a color challenge for you. I used this banner and chipboard sticker from Cosmo Cricket Jolly Days. The paper on the left is from My Minds Eye. The star clip is from Hobby Lobby and the Rick Rack trim is by Tim Holtz. I hope you take the challenge this week and I'm excited to see what you create with interesting color palette. Thanks for stopping by! This is very pretty Donna! Love how you used the reds and grays from the photo. 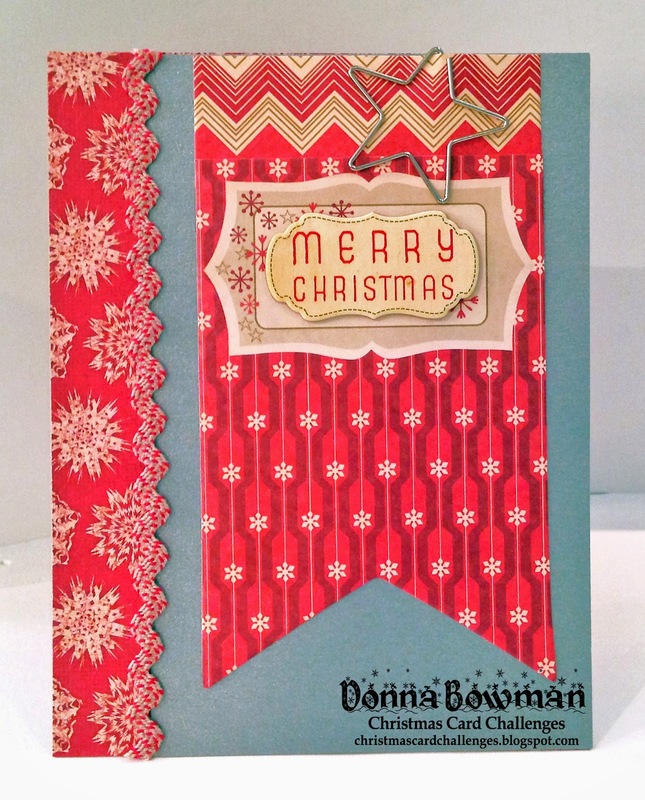 What pretty patterned papers Donna, they really pop on that background colour! Love!! Great color combo - love the ric-rac!! Festive, indeed! Love that chipboard sticker.